I received a copy of this DVD in exchange for my review. Do you know who Rich Mullins is? If you've ever sung the song "Awesome God," then you've sung a Rich Mullins song. He was an amazing songwriter whose message of God's love touched many people. Yet, he walked away from the spotlight, and even so, he is still one of the most popular songwriters today. He may be gone from this earth, but his songs live on. 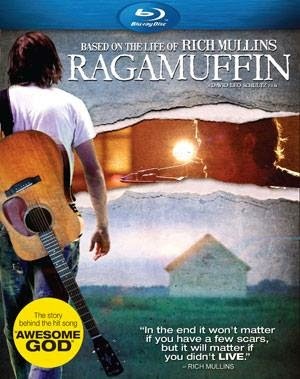 The DVD Ragamuffin is a tribute movie to Rich Mullins and his life and testimony. For someone to walk away from his career, his fame and fortune, while at the top is totally unheard of. Yet he did so. He stayed true to himself and to his God whom he so desperately sought to know more and to love deeper. I had a chance to preview the movie and I can't describe how beautiful it is. It's honest and will move you no matter what your faith background is. Ragamuffin will be released tomorrow and the soundtrack will be released on July 22. I'm looking forward to hearing two never-before released songs sung by Rich Mullins. Please see my giveaway below to enter to win a copy of Ragamuffin, but you can also purchase your copy online. And consider purchasing another copy for a friend or family member who is also a ragamuffin like Rich Mullins was. Enter below - and remember that if you click on the upper right side of the form and select "show all entries" it makes entering faster and easier. 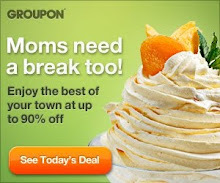 If you have won this same prize on another blog, you are not eligible to win it again. I found out that the Director of the movie met Rich's brother after speaking in a Church in Indianapolis, and that he was the pastor of that church. He told him he would like to make a movie about his brother. We already own this DVD, but I wanted to recommend it. His story is extremely powerful. I would say that it is not necessarily a family show, as the themes are a bit intense. But I was definitely encouraged to see how God worked in Rich's life.